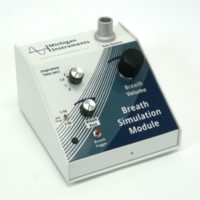 Michigan Instruments Adult & Infant Test Lung - J.D. Honigberg International, Inc. 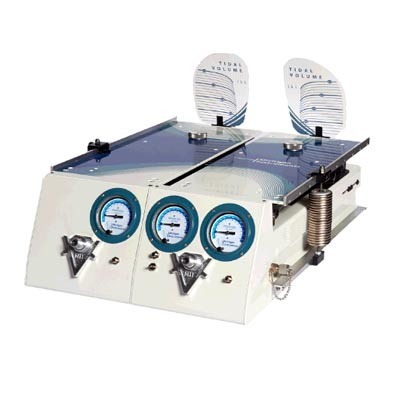 The Adult Infant TTL is a portable analog dual lung (1 adult and 1 infant) system which accuratley simulates human pulmonary function for training or testing ventilators under simulated load conditions. 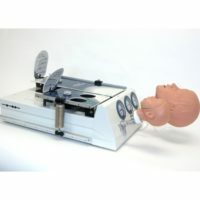 Adult & Infant Michigan Lung Simulators offer incredible versatility when instrumented with PneuView3 software or as an analog device. The adult lung holds a residual capacity typical of an adult human. The infant lung’s residual capacity is typical of an infant, 6 ro 12 months of age. It visually demonstrates a variety of normal and pathological pulmonary conditions. 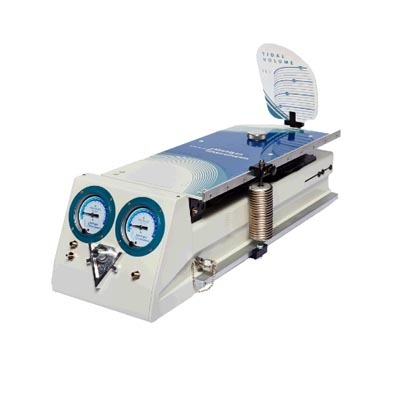 Provides an accurate measure of volumes, pressures and flow rates of medical equipment and replaces several measuring instruments at a fraction of their combined costs. 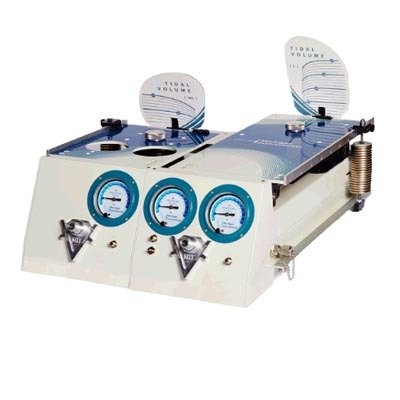 Can accommodate several types of oxygen measuring sensors and other pressure sensing equipment.